Born in Montreal in 1941, Pierre Desjardins was a hometown boy who made it big with the Alouettes in football, and afterwards in business. 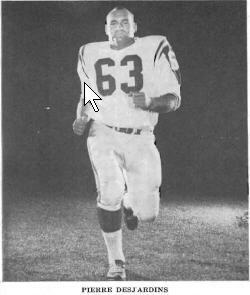 Desjardins played junior football with the Rosemount Bombers, and was part of the 1960 Canadian Junior Championship team along with another future Alouette, Larry Fairholm. Desjardins' play with the Bombers landed him a college scholarship with Wyoming. 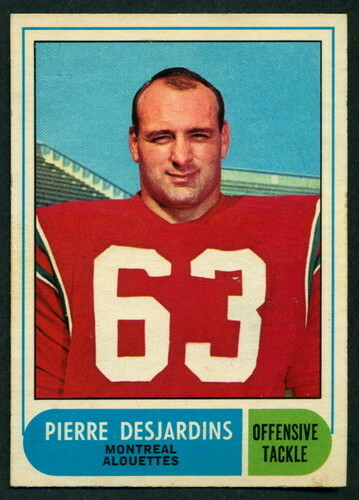 After college, Desjardins returned to Montreal and played six seasons for the Alouettes, from 1966 to 1971. At only six feet and 240 pounds, Desjardins was not the biggest offensive tackle in the CFL, but he made up for it with his aggressive style of play. 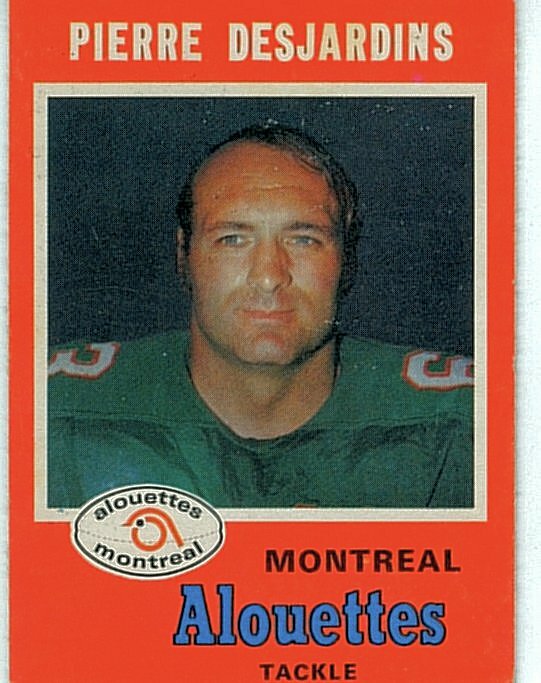 Desjardins was the co-captain of the Alouettes in 1970 when they won the Grey Cup. After football, Desjardins had a stint as a colour commentator doing football games with the CBC, before becoming a very successful businessman. Desjardins had received his Business degree at Wyoming, and after retiring from football, put it to good use. Among his "All-Star" accomplishments in business, was becoming President of the Labatt Brewing Company, President and CEO of Domtar Inc., and Vice-President of National Sales with Imperial Tobacco.